Woodlands Center For Special Surgery Providers Mark Ciaglia, D.O. Dr. Mark Ciaglia, DO, at the Woodlands Center for Special Surgery is a board-certified surgeon and fellowship-trained hand and microsurgeon. With Dr. Ciaglia’s extensive training and experience, everyone living in and around The Woodlands, Texas, in the greater Houston area has access to high-quality treatment for injuries, trauma, and degenerative diseases that affect their hand, wrist, and arm. Dr. Ciaglia grew up in Chicago and stayed close to home when he entered Illinois Wesleyan University. He studied biology and chemistry, graduating with honors, and was accepted to Nova Southeastern University College of Osteopathic Medicine in Fort Lauderdale, Florida. 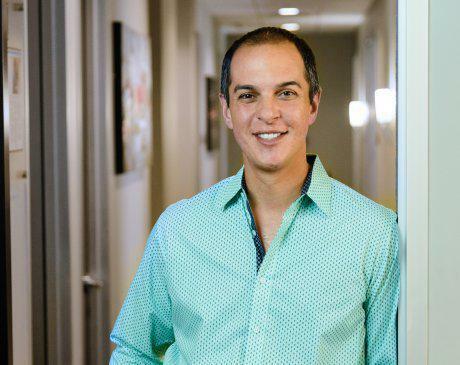 After he completed medical school, Dr. Ciaglia moved to New York City, where he spent five years training in general and trauma surgery in Brooklyn. Although he was well prepared to meet any surgical problem, he wanted to specialize in hand surgery, so he applied to the single hand surgery and microsurgical fellowship at Albert Einstein College of Medicine at Beth Israel in Manhattan. Out of 135 applicants, Dr. Ciaglia was accepted into the fellowship training and had the honor to train under world-renowned hand surgeon Dr. Charles Melone. During his training, Dr. Ciaglia perfected hand surgery and gained recognition as he spoke at state and national meetings about hand surgery. With his exceptional qualifications, Dr. Ciaglia can address all upper extremity surgical needs. He lives locally in The Woodlands and looks forward to providing care for his neighbors and those in surrounding communities. Dr. Ciaglia accepts the following insurances. For any coverage-related questions, please contact our office.